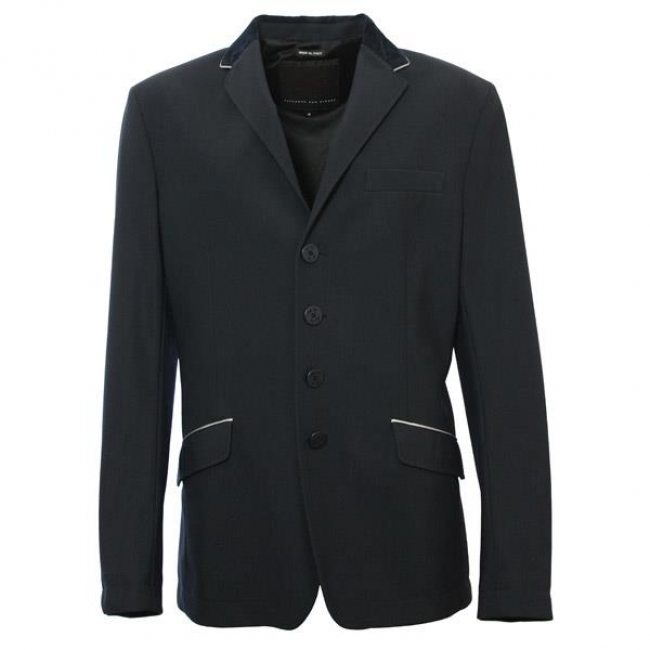 This classic Men?s show jacket has been designed exclusively for the Mark Todd collection with the demands of the sport in mind, undeniable comfort combined with stylish Italian tailoring. The breathable 4 way stretch fabric is durable for all weathers, allows great freedom of movement, is stain and water repellent. The accents on the collar and pockets stylishly compliment the Mark Todd signature logo on the left cuff and signature buttons. 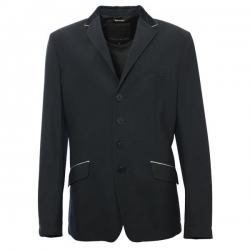 This detailed jacket is machine washable, and available in Navy and Black.